Following a campaign by local residents with Labour’s Assembly Member Val Shawcross, local councillors Anna Birley, Max Deckers-Dowber & Fred Cowell and former councillor Ann Kingsbury, Transport for London (TfL) has agreed to remove the one-way traffic system (gyratory) on the south circular road near Tulse Hill station. The project to return this junction to two-way traffic is at an early stage and will include extensive consultation with local businesses and residents in the coming months. TfL expect this project to take about 5 years and complete by 2020. 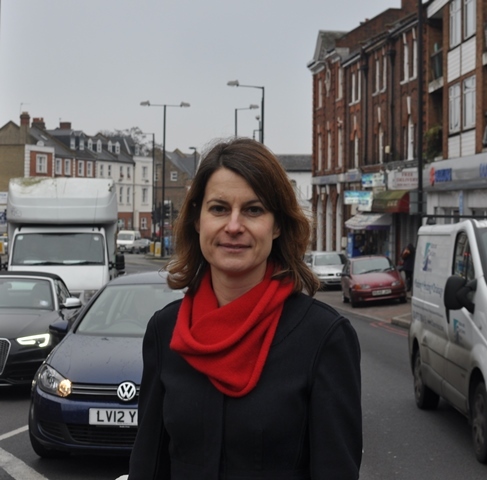 In the meantime the council has won £2million from the London Mayor to improve Norwood Road from Chestnut Road to Tulse Hill Station by 2017. The scheme will be designed through consultation and engagement with local people In 2015/16. A number of gyratories are being removed across London eg Brixton, Stockwell, Vauxhall, Wandsworth, Aldgate, Swiss Cottage, Kings Cross and many more. Gyratories, introduced in the 1960s and 1970s, are being replaced to improve safety, cycling, improve traffic flow and create a healthier & more pleasant environment. Look out for more information at the West Norwood Feast events (returning April 5th) !